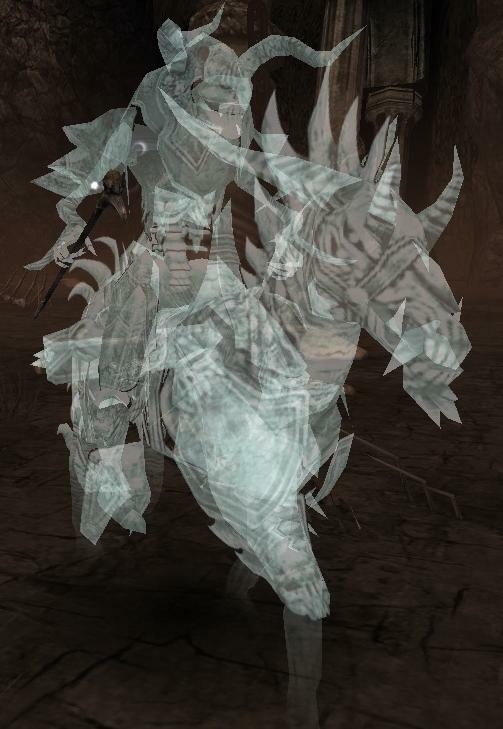 Greater Dream Rider, usually known as dreamy or pony, is an enemy in the Foundry section of DoA. Derps around and doesn't attack until some of the other mobs in its group dies. The dreamies in r2-4 are different enemies (have different model ID's - 5213 for r2-4 and 5212 for r5) than the ones that spawn in 5th room, and the ones in r2-4 don't have mistrust. All of its skills (except Enraged) are targeted spells, and it rarely attacks, so maintaining Shadow Form keeps you safe, although they also can't deal damage to you if you have no enchantments up and don't cast any spells. While spiking, the team should try to keep dreamies shut down with Mistrust and YMLaD, so Wastrel's Demise can be a decent source of damage. Pain Inverter is not very effective, and Empathy does almost nothing. This page was last modified on 18 October 2018, at 23:59.